The Episode starts with Manu telling Gangadhar that cocaine is getting cultivated in those farms, britishers are getting profits and your people are getting just pain. Gangadhar asks if this is truth? He questions Janki and Ross. He asks did you break my trust in the pretext of business. Ross says yes, we are farming cocaine in those 11 villagers. Janki gets worried. Ross says this doesn’t mean we are cheating on you. Gangadhar asks why did you hide from me. Ross says we are always loyal to you and will be your friend till last breath. Manu says you did the farming betraying Jhansi. Ross says they will use the money for Jhansi’s betterment and many purposes. He says we think not only Jhansi, but all India. He says they will get good medicine for the soldiers, and says they are not only farming cocaine, but many herbal medicine which will help the commoners. He says we should get appreciated, but we are facing allegations, this is very sad. Gangadhar scolds Manu and asks if she heard the truth. He says he is feeling afraid infront of Governor and his british friends. He apologizes to Ross and Janki. He says to rectify my mistake, I will give those 11 villages to you. Ross thanks Gangadhar. Manu is shocked. Ross thinks to tell Governor. Manu says you are doing a big mistake. Gangadhar says you are lucky as you are a woman and says a woman’s place is in kitchen and not in Raj darbar. He asks her to remember that he has chosen her to be his Rani and whatever happened today, he is forceful to think if she is suitable to be Jhansi’s Maharani. Ross says I hope I have cleared all your doubts and now I will take a leave. Janki says today was very stressful, asks him to have rest. Ross and Janki leave. Manu says I had very hopes from you, but you changed my hopes into sadness. She says if love is the start of any relation, then respect and trust are the base of the relation. She says you showed me, my place today. He goes and the lamp falls down. Fire is caught. Manu thinks she has chosen herself for Jhansi. Janki tells Ross that Gangadhar will kick Manu out in the afternoon. Ross asks why to wait till afternoon. Janki says maharaj wakes up in afternoon as he gets good sleep with cocaine juice. Ross bets for 200 Rs and says he will not get sleep till he kicks her out and if this don’t happens then I will shaved off my hair and sit on donkey ride. He laughs. Jack tells that this is for the woman who couldn’t become the queen. Gangadhar comes to Manu’s room and sees her sleeping. He thinks of her words. He thinks who are you, and how dare you to talk to me like that and why your words remind me of Rama. He thinks both of them saying the same thing. Manu in sleep asks her baba to cover her with blanket and says she is feeling cold. Gangadhar sits on her bed and covers blanket on her. He gets up from bed and thinks of Manu’s courage, and recalls how she fought with the britishers and made Jhansi win the Polo match. He recalls Manu telling that she wants to get those 11 villages and telling him everything. He recalls Manu asking, did you go and check there, and that his people have become homeless. Gangadhar thinks to go and find out himself. He rides on his horse till morning. Janki comes to Ross worriedly and finds him sleeping. Manu teaches the kids about Hindustan and sings song praising our nation. She thinks she tried to make Gangadhar understand, but he didn’t understand. A girl comes to manu and tells that the boy is telling her that she is a girl and can’t do like him. Manu recalls Gangadhar’s words and says how can I marry a man who has hurt my self respect. Girl says Gopal told me. Manu tells about the Shastra and tells that where respect is given to woman, God exist there and tells that where woman is disrespected, every work is unsuccessful there. She says woman are not weak, but helpless due to differentiation. She tells that women will create history in future. She thinks our nation shall get freedom from such discrimination. Kashi comes and tells Manu that Maharaj went out from Palace without telling anyone. She tells that everyone is worried. Manu thinks where he could go? Kashi says soldiers saw him going towards 11 villages. Manu gets worried for him. Precap: Gangadhar comes to the factory. Janki tells Ross that Gangadhar went to check the cocaine factory. Ross says Gangadhar will be dead. They laugh. Manu comes to the factory. 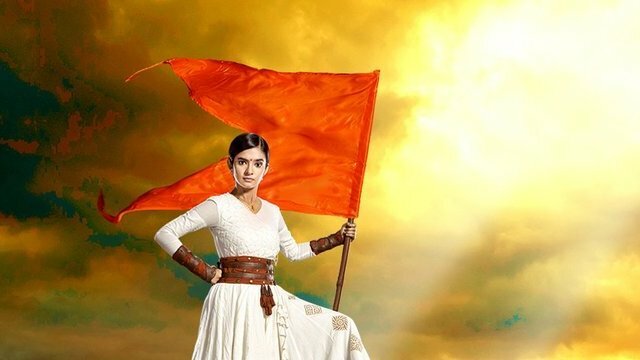 The post Jhansi Ki Rani 7th March 2019 Written Episode Update: Gangadhar decides to check cocaine factory appeared first on Telly Updates.